Organizations across the globe benefit from having influential leaders who are qualified to lead a diverse workforce, cultivate engagement, and guide change necessary to remain competitive in the marketplace. These same organizations realize the value in investing in current talent to breed the next generation of executives, and to ensure a set of unified core leadership principles exist and are executed by managers of people and projects. This session reveals how one organization overcame cultural barriers to successful implementation of varied enterprise-wide leadership development initiatives. Understand the significance of setting the stage for enterprise-wide learning and development. Gain insight on the structural components of a high potential leadership development program. Leverage strategies to create consensus and overcome cultural barriers that stagnate growth and hinder forward progress. 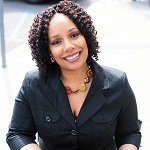 Dr. Kristal Walker has more than 15 years of experience helping clients engage people, apply processes, and implement technology to improve human and organizational performance in the private sector, nonprofit and higher education industries. She currently works as a director of professional development where she oversees leadership development and talent management initiatives for nearly 11,000 existing and emerging organizational leaders and retail associates. Dr. Walker earned a bachelor’s degree in human services, a master’s degree in management and organizational leadership, and a doctorate of management degree in organizational leadership. She prides herself on developing the next generation of leaders.